Leisure World Travel has a combined experience of 90 plus years in the travel industry. Our agents have traveled extensively and pride ourselves in exceptional customer service. We have a passion for travel and want to make sure that every trip exceeds your expectations! We pride ourselves in going above and beyond, every time! Val is the founder of Leisure World Travel, with 23 years in the travel industry. Val has spent many years in the travel industry and has always prided herself on maintaining her focus on excellent customer service to make sure that everyone has the best vacation possible. She listens to her clients needs and exceeds their expectations by delivering a fantastic memorable getaway to the destination of their choice! 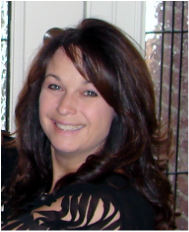 Jodi has been in the travel industry for 23 years and part of Leisure World Travel from the beginning. Customer service has always been a priority and a driving force in providing clients memorable vacation choices and lasting memories. As a group travel planner, Jodi enjoys working with corporate, wedding and specialty groups along with individual Caribbean vacations and cruises. Korinne started working with Leisure World Travel in 2001. She has worked in the travel industry for 28 years. Whether you are a seasoned traveler or taking your first trip with Leisure World Travel, Korinne takes the time to make sure every detail is covered and explained to you. Irene is the newest member of Leisure World Travel. She is a travel enthusiast that comes from an extensive 20 year customer service and travel based background, with a strong emphasis in customer service. She had the unique opportunity to travel extensively working on board Carnival Cruise Ships and has traveled the US extensively as well.